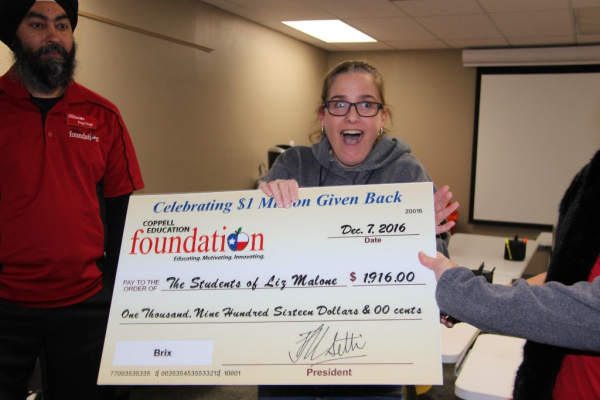 Austin Elementary’s Liz Malone received $1,916 for “Brix.” These funds purchased Flybrix kits and Brixo blocks. Flybrix allow learners to build programmable drones using the Legos and Brixo building blocks. Brixos are similar to Legos, but with the capacity to make a variety of circuits that can create sound, light, and/or motion. With the combination of Flybrix kits and Brixo blocks, learners can be challenged to be creators and innovators as they identify and solve problems that are challenging and personally meaningful.